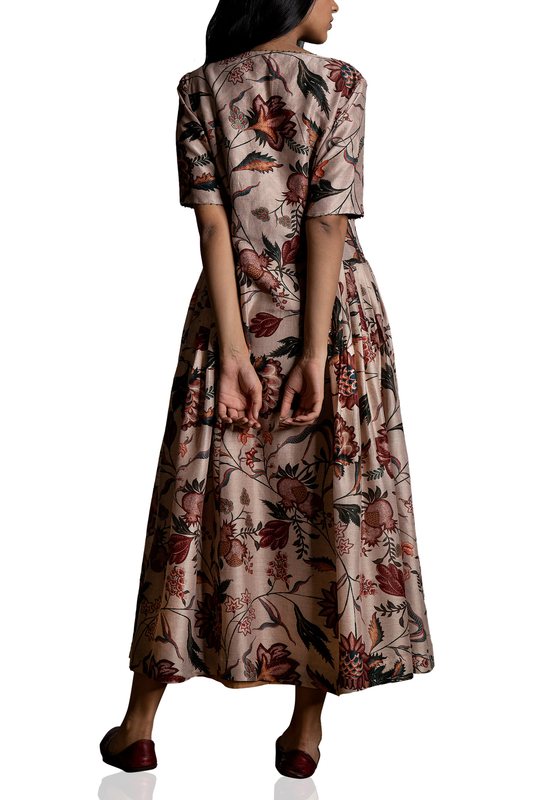 Beige printed dress designed by Torani at AASHNI+CO. 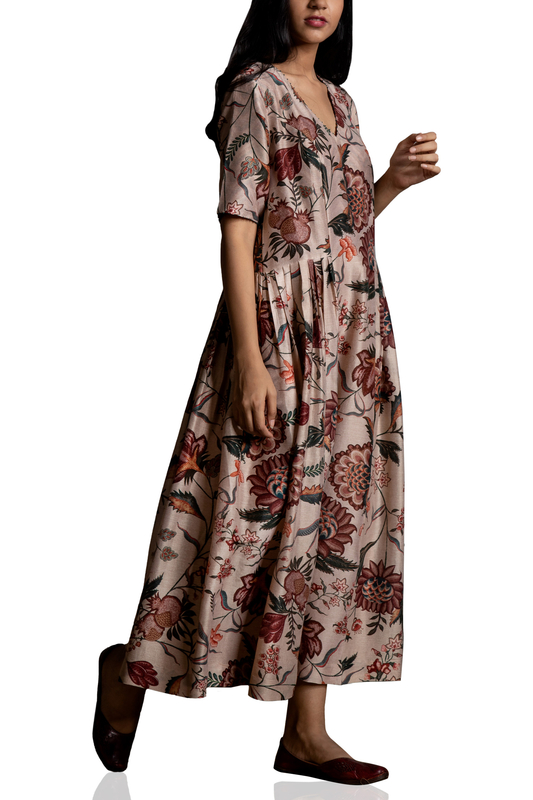 Torani lets you twirl around in style featuring a beige chintz dress in cotton silk. Style the look with wavy hair and ankle strap heels.